Later this year, STC will begin the first significant upgrade to The Wharf since it opened its doors over 30 years ago. Right now, The Wharf is still humming away as busily as ever. Shows are being performed, sets are being built, costumes are being stitched. But, below us, important upgrades are already being done by our friends at Create NSW. To stretch out into Sydney Harbour the way it does, The Wharf sits atop a small, artfully engineered forest of piles, girders and headstocks. Since last year, these vital structural pieces have been undergoing a painstaking process of repair and replacement. Specialist marine contractors, including dive crews, cut out the worn-away sections of the wood piles and replace them with steel tubes. Along the visible outer edges of The Wharf, turpentine tree trunks are used to maintain the important heritage aspect of the structure. 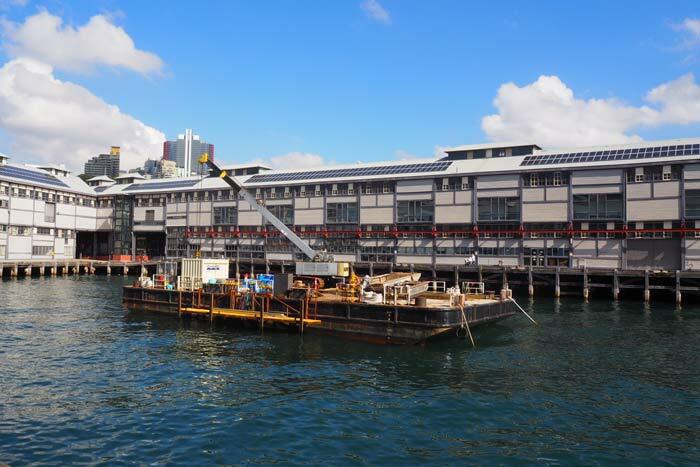 Maintenance work like this ensures that The Wharf and the other wharves here at Walsh Bay will continue to serve Sydney for many decades to come. So, next time you walk down the corridor of The Wharf, take a look out the windows and you might notice a barge docked outside. That is where the crews working on this project are based. They are helping us preserve our unique home on the water and laying the foundations for an even better theatre experience in the future. 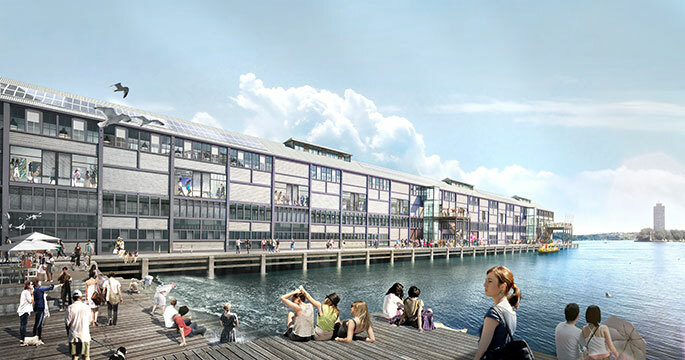 Find out more about the Wharf Renewal project here.